February will find the NBA's top players touching down at Air Canada Centre for Toronto's first-ever hosting of the NBA All-Star Weekend. There will be more than just the on-court celebrations, though, with former Raptor Matt Bonner bringing out sample-blaster Girl Talk to Lee's Palace for his third annual Alt Star Party. This year's event takes place on February 12 at Lee's Palace. Along with the headlining set from Girl Talk, cast members of NBA TV's The Starters program will be hosting the night. Bonner, a two-time championship-winning power forward currently playing with the San Antonio Spurs, will also be in attendance, and the night promises "a few surprise performances and special guests." In a statement, Bonner said, "This year's Alt Star Party is extra special to me. Not only is Toronto where my NBA career started, but it's also where I got my first taste of the alternative, independent music scene. Lee's Palace remains one of my favourite venues, so to be able to host Girl Talk there is going to be insane. Bust out your Canadian tuxedos, it's the Alt Star Party." Bonner, nicknamed "The Red Mamba," played with the Raptors from 2004 to 2006 before moving on to the Spurs. With them, he's won championship titles in 2007 and 2014. The first two Alt Star Party's took place in New Orleans and New York, respectively. Previous performers have included the Hold Steady and Arcade Fire's Will Butler, who performed a DJ set this year. 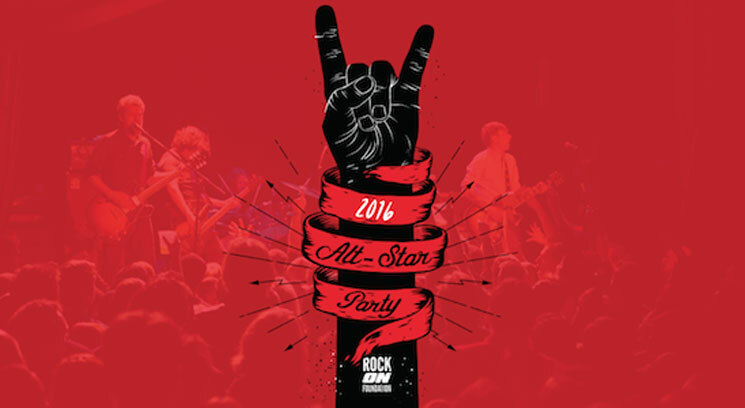 Proceeds from the Alt Star Party will go towards the Rock On Foundation, which Matt and brother Luke Bonner founded in 2012. The nonprofit aims to "enrich the quality of life in communities by supporting athletic, artistic and scholastic initiatives." Meanwhile, a litany of three-point splashes and monster dunks will rain down on Toronto's Air Canada Centre during the NBA All-Star Game, which is scheduled for February 14 and marks the first time the event has been held outside of the U.S. You can find out more info over here.